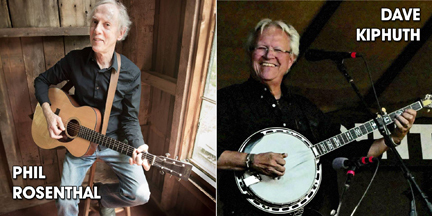 The Bluegrass Characters will play Best Video Performance Space on Tuesday, Apr. 30. The show starts at 7:30 PM and the cover is $5. 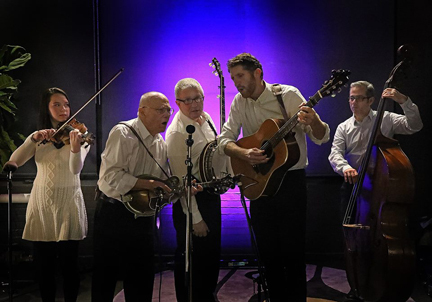 Formerly led by the great Stacy Phillips—who tragically passed away last year—The Bluegrass Characters are a local bluegrass supergroup who play the great straight-ahead, hard-driving bluegrass from the 50s and 60s. 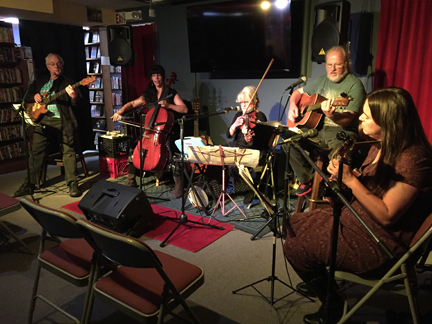 The group features a rotating cast of acoustic roots music virtuosos. 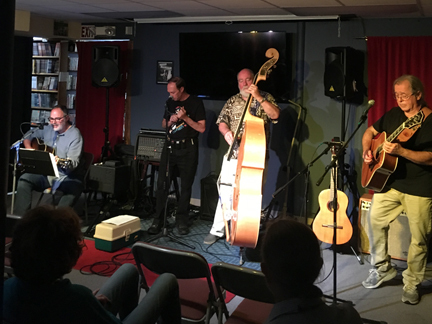 This month’s line-up features Phil Zimmerman (mandolin), Tom Hagymasi (fiddle), Pete Kelly (bass), Joe “Pepe” Lemeris (banjo) and Andy Bromage (guitar). Three chords and the truth, sung from the heart and through the nose. Coda Blue plays Best Video Performance Space Wednesday, Dec. 5. The music starts at 8 PM and the cover is $5. Coda Blue brings together three New Haven area musicians—Louis Audette, James Weisser and Ron Guerrette—to play their unique arrangements of blues, country and folk songs, as well as some originals. They will be joined at this show by Tim Quinn on harmonica. The members of this trio have played in a variety of settings and each brings a wealth of understanding and experience to their performances. Louis Audette on bass provides a solid foundation for the music. He started out playing with the Grey Sky Boys and then with the Greenbriar Boys. He chose not to follow that band when they hit the road to back Joan Baez. As he explains it, he was “tied to the mast.” He helped Frank and Barbara Shaw to start the popular bluegrass band Shoregrass. He has played in other bands: CornBread, the Moonshiners, Fairfield Crossing, and Chicks ‘n Sync. Louis is also a member of the ZuZazz String Orkestra. James Weisser adds guitar and vocals to the mix. He has been known to pull out a blues harp. He will sometimes double on mandolin or concert ukulele. He is half of the songwriting duo of Nyren and Weisser. James founded the duo Woodrock with Steve Nyren. The duo performed in many of the venues in and around New Haven. As a founding member of the Dudley Farm String Band he played guitar and provided the lead vocals. Ron Guerrette, an acoustic finger style and slide guitar player also known to torture an electric guitar from time to time, has played in many settings. The name of the trio is derived from Ron’s uncanny “ability” to tag any song with an unusually long ending. These inventive codas challenge an audience to determine if a song has reached its conclusion. Ron provides vocals as needed. Folk musicians Phil Rosenthal and Dave Kiphuth team up for a show at Best Video Performance Space on Friday, Aug. 17. The show starts at 8 PM and the cover is $10. Phil Rosenthal was lead singer and guitarist in the seminal bluegrass band the Seldom Scene. His compositions have been recorded by Johnny Cash, Bill Monroe, Nick Cave and others. He was selected Connecticut State Troubadour in 1994, and has been called “a roots master” by Billboard Magazine and “one of the most expressive singers in traditional country music” by the Washington Post. He has performed with Jerry Douglas, Bill Monroe, Emmylou Harris, Jonathan Edwards and many others in his career in folk and bluegrass music. Dave Kiphuth began playing banjo and guitar in 1962, deeply involved in the New Haven bluegrass and folk scene. By 1963, he was playing with Billy Hamilton’s New Haven based band The Ohio River Boys and later helped found the seminal CT group Apple Country. After moving to Saratoga Springs NY, he had a seven-year stretch with John Rossbach’s Chestnut Grove, and was a member of Bluegrass Union with Phil Rosenthal, Phil Zimmerman, Stacy Philips and Beth Sommers. 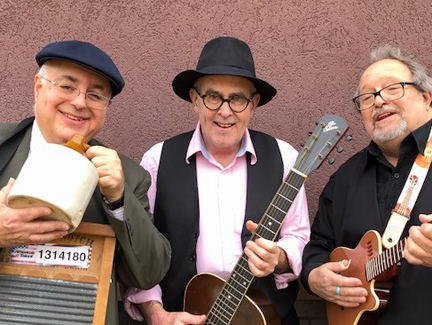 Equally influenced by hard line Bluegrass pioneers like Earl Scruggs and Ralph Stanley, and the greats of Round Peak clawhammer style, he formed the bluegrass/old time fusion band Red Hen with Jane Rothfield, Alan Carr and his late wife Linda Schrade. Dave is currently a core member of Cecil Abel’s New England Bluegrass Band, and bluegrass-synthesis band Bolt Hill, both based in the Maine/New Hampshire seacoast region. He’s also a professional artist/illustrator, happy in the woods of Eliot ME with his cat family. 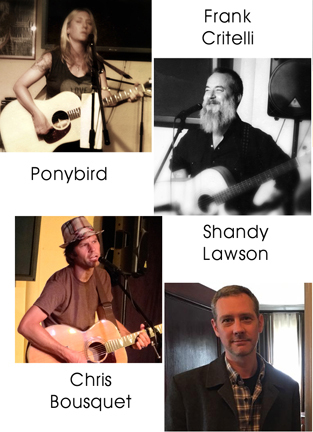 Singer-songwriters Ponybird (Jennifer Dauphinais), Frank Critelli, Shandy Lawson and Christopher Bousquet perform in the round on Friday, June 29, at Best Video Performance Space. The show starts at 7:30 PM and the cover is $5. American Elm, aka Chris Bousquet, is singer-songwriter from Connecticut. He is the former leader of the internationally acclaimed High Lonesome Plains, and as well as the widely regarded Alligator Farmhouse. He has performed with such luminaries as Roger McGuinn, Miracle Legion, Rod McDonald, The Nields, Mark Mulcahy, Asleep at the Wheel, The Turtles, Tim Easton, J. Geils, and Susan Cowsill. Frank Critelli writes songs. He dabbles in haiku and other short poetry. Sometimes he writes other stuff too. Like postcards. His songs are available on compact disc and for download at places like CD Baby. Frank Critelli often performs live. Sometimes he performs solo, and sometimes he is accompanied by one or more musical co-conspirators. Over the years he’s played in streets and subways, clubs and coffeehouses, barrooms and classrooms, colleges, festivals, theaters, and (most recently) in his kitchen. Ponybird is the moniker for singer-songwriter Jennifer Dauphinais, in collaboration with many players from other bands. Influenced by the emotional roots of country, confessional poetry of folk, and spatial freedom of ambient and harmonic tones, the music translates something introspective and infinite all at once. Shandy Lawson, who now makes his career as an author, was a longtime fixture on the Connecticut folk and singer-songwriter scene. Now based in New York City, he returns to share the songwriters circle with his friends Ponybird, Frank and Chris. GuitarTownCT Concert Series brings The Page Turners to Best Video Performance Space on Friday, June 8. The show begins at 7:30 PM. 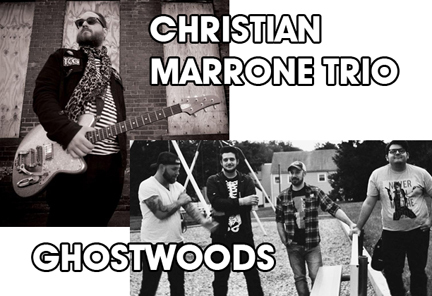 Advance tickets—available through GuitarTownCT—are $20; tickets at the door are $25 (cash only at the door). 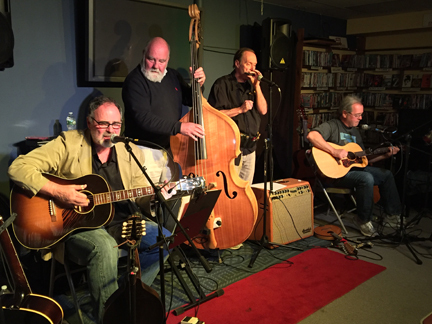 The Page Turners have a strong foothold in the American acoustic roots music scene. An award-winning group (Freshgrass 2016 Awards), The Page Turners began their story as musical friends attending Berklee College of Music, playing together with a mutual admiration for musical authenticity and adventure. 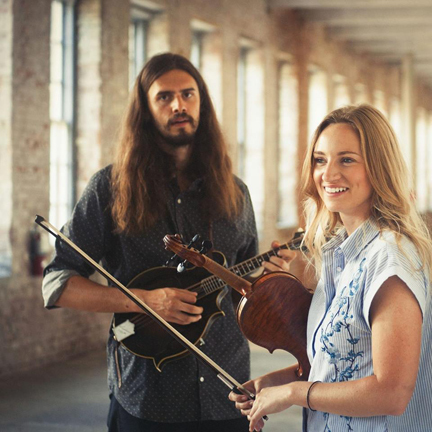 Writing sharp and adept original music, as well as putting new twists on old favorites, they blend their love of bluegrass, old-time, country, swing, jazz, and fearless songwriting into one all-purpose seasoning of Roots music. Originally a duo, The Page Turners often extend into a full ensemble, welcoming friends from all over the country on board, such as Max Schwartz, Ethan Setiawan, Bill Evans, and Ethan Hawkins. Carolyn Kendrick and Jake Howard began The Page Turners as students of Berklee College of Music, in the American Roots Music Program, which is “is dedicated to exploring the rural and early American music of the first half of the 20th century; explor[ing] the lifeblood of America’s musical and cultural heritage found in a wide range of American roots music styles.“ Based on these musics, The Page Turners also embrace modernism and explore songwriting in a new way. Since their genesis, The Page Turners have recorded their self-titled debut EP, and hit the ground running. The Page Turners began touring the United States early on, performing at renowned festivals such as Greyfox Bluegrass Festival, Joe Val Bluegrass Festival, Berkeley Bluegrass Festival at Freight & Salvage, The American Roots Program at Berklee Presents: A Tribute to Leadbelly (Berklee Performance Center), Freshgrass Music Festival, and others. Their efforts have brought them from coast to coast and back again, performing in twenty states in 2017 alone. In 2018, they have been invited to perform and teach for Savannah Music Festival presents: Musical Explorers, an educational program focusing on education through traditional American music. Coda Blue plays Best Video Performance Space Wednesday, Apr. 25. The music starts at 8 PM and the cover is $5. Stacy Phillips & His Bluegrass Characters return to Best Video Performance Space on Tuesday, Apr. 24, for another night of picking, twang and good times. The show starts a little early, at 7:30 PM, and the cover is $5. 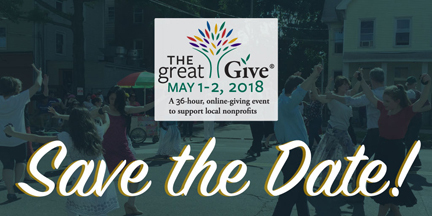 Stop by early—between 5 and 7 PM—and enjoy BVFCC’s Great Give® Kick-Off Happy Hour with drink specials, snacks and popcorn from our popcorn machine! 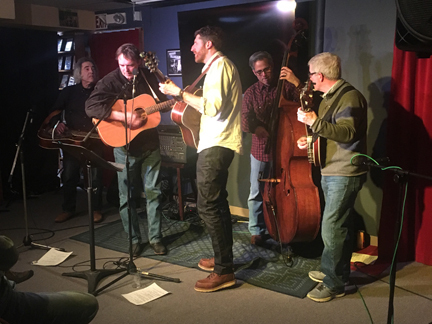 Stacy Phillips and His Bluegrass Characters features a rotating pool of the best acoustic musicians and singers in the Northeast. The band features traditional bluegrass repertoire, good-natured insults and a fun approach to this quintessential American music. This time the band will be Andy Bromage, Chris Brashear, Pete Kelly, Rick Brodsky and Phillips. As usual, The Characters are led by Grammy award winning dobro/violin player Stacy Phillips. These guys have played all over the world with the likes of Bela Fleck, Mark O’Connor, Pete Rowan, Dave Bromberg, Michael Cleveland, etc. etc. Expect other fine musicians drop by for a tune or two. Three chords and the truth, sung from the heart and through the nose. This is a recurring last-Tuesday-of-the-month show. Flint Ladder plays Best Video Performance Space on Thursday, Apr. 12. The show starts at 8 PM and the cover is $5. 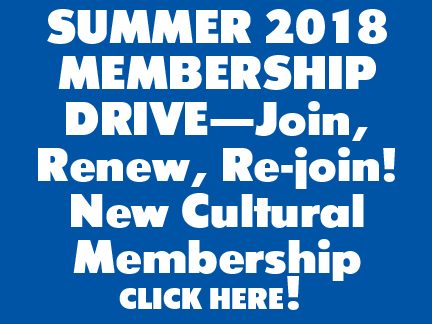 Flint Ladder grew out of the creative, environmentally-conscious New Haven arts community in the late 1980s. During that time, a community member offered the use of his barn to form a home for a neighborhood circus. Cellist Shula Weinstein was one of the first members of the accompanying circus band. Shortly after, guitarist Frank Panzarella joined. Bassist Jim Baldoni was soon recruited by Panzarella. Anne Cherry, another community member, joined on fiddle, glockenspiel, and various percussion. The band would meet and create supporting accompaniment, gag tunes, improvisational flights of fancy and more. Lots of fun was had! The circus produced 2 shows a year and had a run of this for 10 years! It was called The Flint Ladder Circus because the barn had previously housed The Flint Ladder Company. After the circus, the band continued performing, shortening its name from The Flint Ladder Circus Band to simply Flint Ladder. Along the way, they picked up mandolinist Karen Hogg via a random yoga class that Baldoni attended. Today, Flint Ladder is an eclectic, fun string band that specializes in unique arrangements of old jazz, folk, classic rock, country, and other popular tunes.